The production was great, the narrators voice was presented by the whole cast, reading the novel aloud like so many teachers have done. The performances were great. Everyone cried. I was sitting next to my wife, she got me the tickets. That’s what you do when you’re married, you see something your other half would like and you get it for them. You call in the grandparents, drive to Dublin, have lunch together in The Marker and go to the theatre. You go to a play about respect. A play about understanding and treating everyone equally. Do you see where this is going? Over the last few days and weeks I’ve cried many times, at the stories of public figures, private individuals and friends who shared their experiences of being gay in Ireland today. For any straight Irish citizen who might have had their heads in the clouds, thinking it was no big deal to be out in Ireland today, it’s plain now that it’s a big deal. That in our thoughts and in our words we treat some of our citizens differently. We were forgetting to walk in their shoes, these mockingbirds. There have been days too where I’ve wondered why anyone would want to be married! But meeting and marrying my wife was the best that ever happened to me. I’m not religious or into ceremony (though I like to give a speech, they tell me), but the day we got married did change everything. The day after I felt this was something different, something right. Who am I, who is anyone to deny that feeling to any other citizen of this Republic? What has made me most sad over the last month is thinking how some of us have to ask the majority of us to be treated equally, and some people, even some teachers, who should be all about tolerance, are opposed to ‘bestowing the gift’ of this human right. And though we repeat over and again that it isn’t about children, when you’re a teacher and a parent it’s always about children. I’ve seen students crumble under the weight of coming out as a gay teenager, and I know teachers who can’t come out in their staffrooms. (By the way, the fact is that, if the referendum is passed, an LGBT teacher will be able to marry but may still be discriminated against under employment law. The next fight will have to be to delete Section 37.) To give those we share our communities with the comfort of what we take for granted will be an honour. I’ve been asked ‘why do you go on about gay teachers, you’re not gay’, my answer is one of the things I’m most proud of saying: ‘no, I’m not gay, but I am a human being’. Education has, needlessly, been dragged into the debate, scaremongering that if it’s a yes and you don’t teach marriage equality you’ll be open to sanction. The very thought that teachers would blanch at teaching equality is ludicrous: aren’t we after the truth after all everyday? 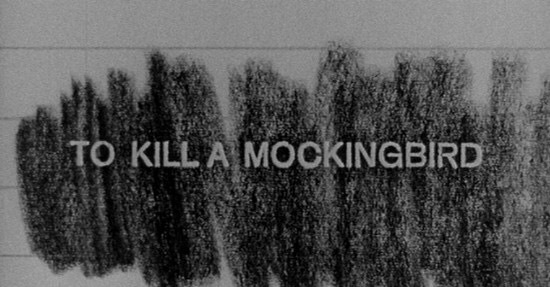 That’s why we chose to read books like Mockingbird, isn’t it? In the end, this is a republic. With all its flaws, and no matter how loaded the term, on Friday 22nd May we should act like Republicans and extend to our brothers and sisters the liberty and equality they deserve.